Wade tape on rain guards are the most accurate fitting window visor on the market. They are manufactured by a state-of-the-art computer-aided design process to ensure a perfect fit on your car or truck. The flawless aerodynamic design allows fresh air in any weather conditions. Wade rain guards offer a quick and easy installation using heavy 3M tape. 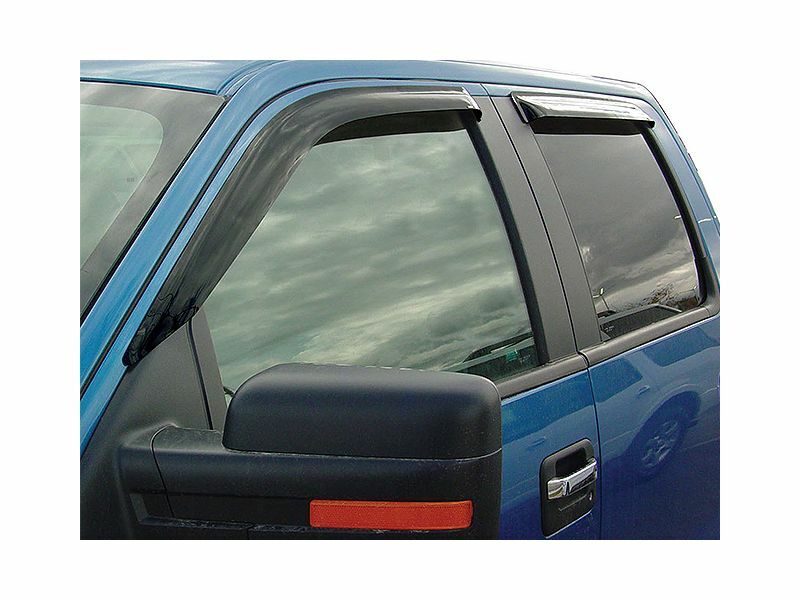 Wade window deflectors are manufactured from a high gloss smoke acrylic and feature a smooth tooled edge, not the sharp edges like most car and truck vent visors. Available in two and four piece vent visor sets depending on the application. They are proudly made in the USA and feature a limited lifetime warranty. 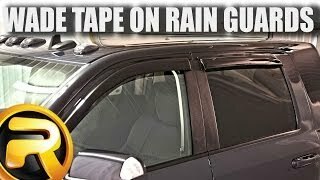 Easy tape-on installation on the wade tape-on rain guards. If you have any questions please let us know.